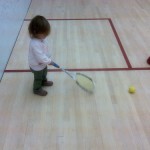 I’ve always been somebody who’s keen to share the latest ideas about how squash can gain new followers. So here’s one from 1959, courtesy of British Pathé News. The Pathé News video shows Petrie demonstrating his new invention by playing Diane Rowe, twice World Doubles table tennis champion (in 1951 and 1954) with her twin sister, Rosalind. 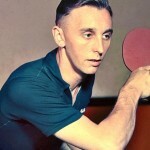 In the video, Petrie hands over mid-rally to another celebrated British table tennis player of the 1950s, Johnny Leach. 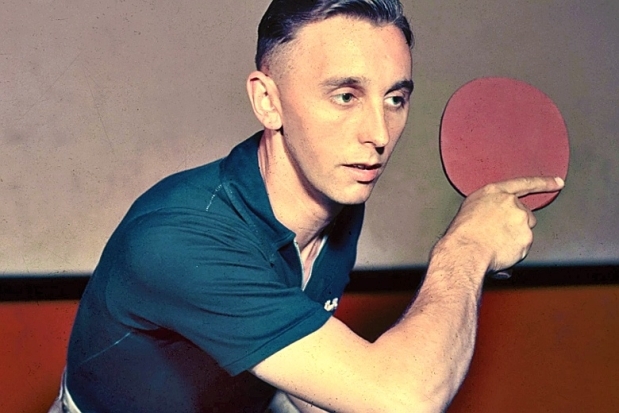 Leach won the World Men’s table tennis title in 1949 and 1951, elevating him to the same iconic status as Britain’s other men’s racket sports star, Fred Perry. Table tennis was massively popular in 1950s and early 1960s Britain, tournaments being regularly televised by the BBC. In contrast, squash was neither widely known about – and certainly never televised – even though English players reached the men’s final of the British Open four times between 1947 and 1953. And Smash? Well, with both players hitting against a front wall, there were definitely some similarities with squash. What’s more, the table could certainly be used for solo drills to improve hand-eye co-ordination and foot-work. On the other hand, it’s not at all clear from the video whether the rules of Smash really did allow players to take over from each other mid-rally, either for a breather or for a smoke. One for the governing bodies to consider, I suspect. Thanks to British Pathé for publishing the Pathé News clip. Johnny Leach died in 2014 aged 91; you can read his obituary here. The Rowe twins celebrated their 80th birthday in 2013; you can read a celebration of their achievements on the European Table Tennis Union’s website here. The late-1990s. Somewhere in South East England. A squash club bar. It is a Thursday evening in late October. Outside, it is dark. 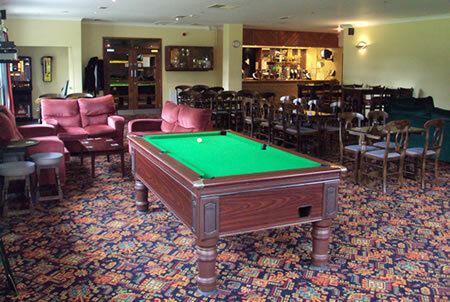 The bar is furnished with a selection of tables and chairs, and a solitary pool table. The floor is covered with a carpet bearing a geometrical pattern consisting of interlocking orange, blue and cream figures. The walls are hung with framed photographs and posters. A trophy cabinet containing engraved silver cups and shields stands against the far wall. A jumble of sports bags and racket covers is piled by a coat-stand next to the bar entrance. Music can be heard emanating faintly from the tannoy. Behind the bar, Ange Whittaker, a blonde-haired woman in her fifties is filling the sink with hot water. She is wearing a black-and-white print dress. Four men are seated around one of the tables drinking beer from straight glasses. Jack Sugden, a white-haired man in his early seventies, is the Club Secretary and has been for over twenty years; he still plays in the Club’s internal leagues. Graham Adams is the League Organiser. A policeman in his mid-forties, he is tall, has cropped fair hair and plays for the Club’s Men’s First Team in the county leagues. 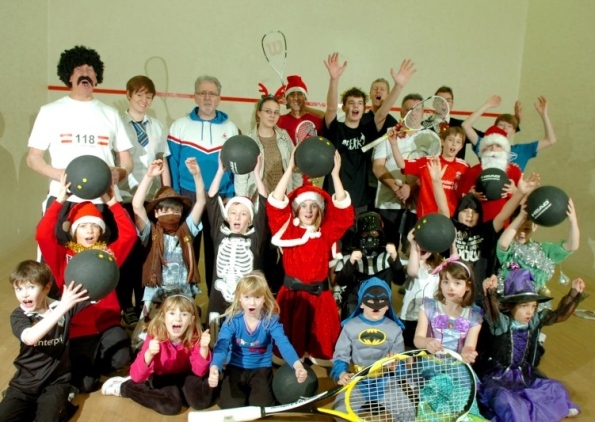 Ron Tetlow is a member of the Squash Club Committee and helps to organise competitions and social events. He is in his mid-sixties and has retired from playing but is a marker at team fixtures. 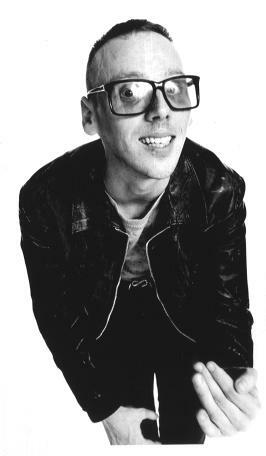 He is of medium build, balding and wears black-rimmed spectacles. Andrew McGrath is a club member. He is tall and has receding ginger hair, pale skin and freckles. He plays in the Club’s internal leagues. The men are sitting in silence. RON: Makes you think, doesn’t it? He stares directly ahead of him, then takes a sip from his glass. JACK: It certainly does, Ron. It certainly does. RON: There but for the grace of God and so on. I mean it was only last week he got a game off Terry. GRAHAM: Did he? What, Terry Jackson? Terry must have been giving him a few points then. Well he’d have to, wouldn’t he. RON: Still, he must have played out of his skin to get a game off Terry. I mean how old is Terry? Forty-ish? GRAHAM: I would have thought so. RON: No. Sixty-two? Was he? I thought he was older than that. Behind the bar, ANGE is washing some glasses. RON: He was looking forward to going on holiday. RON: Sounded Spanish I think…or it could have been Portuguese. I’m not that well up on place names, foreign countries, that sort of thing. I’ve been to France mind you. JACK: Have you? What part? RON: Now there’s a question. I’d have to ask the missus. She books everything, see. The group sits in silence. Suddenly, the door swings open and GARETH Prosser enters. 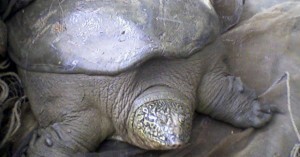 He is in his mid-forties, thick-set with black hair and sideburns. He is wearing a tweed cap, a light-coloured parka and a tartan scarf. He looks at the group, then at the bar, then back at the group. GARETH: Christ! What’s wrong with you lot? It’s like a bloody morgue in here. The members of the group turn around. ANGE starts crying. JACK: You haven’t heard then? JACK: Ernie died last night. He takes his cap off. ANDREW stands up and walks to the bar, looking at GARETH. He lifts up the counter, goes behind the bar and puts his arm around ANGE. We had a court booked for Tuesday. GARETH walks over to the bar where ANGE is wiping her eyes with a handkerchief. GARETH: Sorry, Ange, I didn’t realise. He leans over the bar and touches her on the arm. Pint of bitter when you’re ready, love. No hurry. He takes off his parka and hangs it on the coat-stand with his scarf and cap. He walks over to the group and sits down in Andrew’s chair. RON: He dropped dead on court last night. Behind the bar, ANGE starts crying again. She rests her head on ANDREW’s shoulder. RON: Two. I was watching, wasn’t I. Dropped in to book a court, heard someone playing, went up to the balcony. Bob’s your uncle. There’s Ernie playing young Alan. GARETH: League match, was it? RON: Hell of a ding-dong. Ernie keeping it tight, lobbing. Alan running around like a blue-arsed fly, getting everything back. You know Alan. GARETH: Only we’re…well we were all in the same league, like. GARETH: Finishes a week on Sunday, doesn’t it Graham? GRAHAM: That’s right. I’ll take the sheets down at six o’clock. GARETH: Only I haven’t played all my matches yet. RON: Do you want to know what happened or not? GARETH: Sorry, Ron. Go on. RON: Alan gets the third. Ernie squares it at two-all. It’s nip and tuck in the fifth. Alan’s up, Ernie pegs him back, then Ernie’s up, then Alan squares it at nine all and Ernie calls ‘set one’! He leans back in his chair, exhausted. JACK: He must have been tired. RON: They both looked buggered, Jack. Absolutely buggered. That’s when it happened. RON looks towards the bar where ANDREW is chatting with ANGE. He is helping her with the washing up. He lowers his voice and leans forward in his chair. 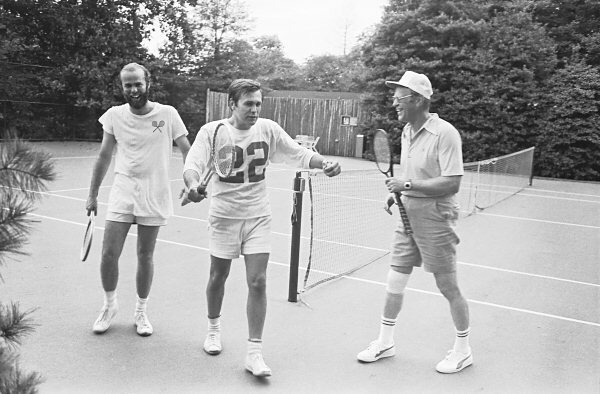 Alan only goes and serves out, doesn’t he, so Ernie’s got match ball. He puts up one of his lob serves and moves to the T. Alan volleys it back cross-court. It whistles past Ernie on the forehand and bounces up onto the back wall. Ernie turns round and dives towards it, swinging through with his racket. Then he hits the floor and doesn’t move. GARETH: So Alan won then? GARETH: Well it’s a walk-over isn’t it? Ernie can’t play on. RON: No, no, no. Ernie won the match. GARETH: How do you work that out then? RON: You didn’t let me finish, did you? On his way down, Ernie gets his racket to the ball and lifts it hard onto the back wall. It loops up towards the front wall, drops, brushes it and bounces twice. Dead. Alan doesn’t get anywhere near it. RON leans back in his chair. GARETH: A back wall boast you mean? RON: Ernie’s signature shot. I’ve seen it get him out of trouble more times than I care to remember. JACK: What a way to go, eh? RON: You couldn’t make it up. GARETH: So you’re telling me that somebody who’s dead can win a rally? RON: Well obviously he was alive when he hit the ball. GRAHAM: The point is, Gareth, it wouldn’t have made any difference whether Ernie was dead before or after the ball was. Alan couldn’t get to it and Ernie wasn’t obstructing him. GRAHAM: …so there wasn’t any reason for them to stop playing, was there, let alone agree a walk-over. RON: …or that they have to remain alive for the entire duration of the match. The group sits in silence. ANDREW comes out from behind the bar and walks over to the coat-stand. GARETH: Anyway, nobody’s put the score down. GARETH: On the score-sheet. I had a look just now. JACK: I suppose Alan was too upset. RON: His girlfriend was hysterical. The rest of the group look at RON. JACK: You mean Samantha? Ernie’s daughter? You never said. RON: Is she? Well I didn’t know, did I. I’m no good with names. JACK: So she was there then? GRAHAM: What’s it like being you, Ron? RON: Anyway, Ange looked after her, didn’t you Ange? She dries a glass and places it on a shelf behind the bar. ANDREW puts on his coat and scarf. He picks up his sports bag and walks to the door. ANDREW: Well, I’d best be off. ‘Night all. He opens the door and leaves the bar. GRAHAM: So where does that leave your league then, Gareth? GARETH takes a pen from his inside pocket and starts writing on a beer-mat. He mutters to himself as he calculates each player’s points. …I’ve got eleven and Mike’s got…er…four. GRAHAM: So you’re telling me that the promotion spots in your league are currently occupied by someone who’s dead and someone who’s lost to him? GARETH: Well, at the moment, yes. RON: So Ernie could go up then? GRAHAM: Don’t be stupid, Ron. GARETH: It could all change of course. Andrew’s still got to play Alan. Both of them could overtake Ernie. GRAHAM: As league organiser, Gareth, I can assure you that Ernie will not be promoted. Under any circumstances. GARETH: So that means I should go up then. GRAHAM: How do you work that out? GARETH: Well Andrew’s not playing in the next round of the league. GRAHAM: How do you know? No, don’t tell me. He’s written it on the score-sheet. RON: I wonder why that is? He never said anything. JACK: Probably upset about Ernie, I shouldn’t wonder. Great friends they were. He used to go round there a lot you know. RON: Now you mention it I have seen him coming out of Ernie’s house. Yes. All hours of the day and night. While I’ve been passing, like. GRAHAM: Yes, yes. Him and Ernie go way back. RON: Yes. That’ll be it. Maybe he feels he’d be a bit uncomfortable. You know, being around when Ernie’s not…around. GRAHAM: And Maureen’s on her own. ANGE: Oh, for Christ’s sake, he’s going on holiday! The group turns to look at ANGE who is staring at them from behind the bar. JACK: Oh, is he? Anywhere nice? I got the idea for ‘Back Wall Boast’ from a UK television play broadcast in 1987. It was called ‘The Clinger’ and was set in a squash club somewhere in England. The play was one of a series of dramas entitled Love and Marriage. Taking place over a single evening, it traced the fortunes of Alan (Richard Hope) in his attempts to impress fellow club member Samantha (Sallyanne Law). Running through The Clinger were a number of humorous story-lines dealing with the petty politics of squash club life including the point scoring rules for the internal leagues. These, of course, come sharply into focus following the dramatic conclusion of Alan and Ernie’s match. You can find out more about ‘The Clinger’ here. The 1908 Olympic Games began on the afternoon of April 27th when Evan Noel, the eventual gold medallist, defeated Cecil Browning in the first round of the men’s singles racquets tournament. At the time, racquets, along with the relatively recent game of squash rackets, was one of a range of racket sports played in Great Britain some of which also appeared on that year’s list of Olympic events. 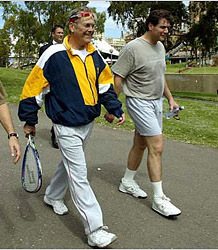 Three versions of tennis were contested at the Games. Lawn tennis (nowadays abbreviated to ‘tennis’), royal tennis (played on an indoor court and now referred to as ‘real tennis’) and covered court tennis which was an indoor version of lawn tennis. 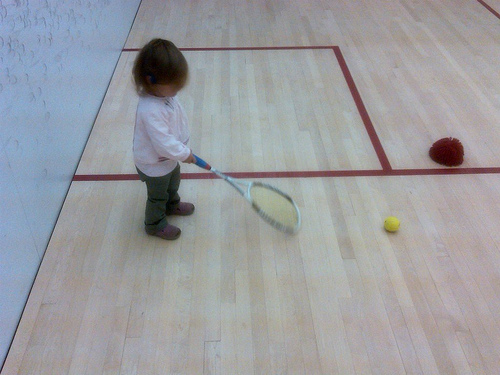 But there was no place for squash rackets at the Games and, looking back, perhaps it’s not surprising why. At the time, it’s almost certain that squash was played even less than racquets, particularly in Great Britain. 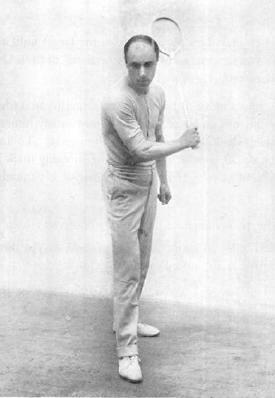 But it’s the background to the 1908 Games which offers another clue as to squash’s omission. The Games had been scheduled to take place in Rome but, in 1906, Mount Vesuvius erupted near Naples. The Italian government felt that it needed the money to rebuild the area around the volcano and asked for the Rome Olympics to be relocated. In actual fact, it was widely believed at the time that the Italians had decided to make their request some time before the eruption, due to economic problems in Italy. Mount Vesuvius provided them with a convenient excuse. Whatever the truth, London agreed to stage the Games. Rome would wait another 52 years for a second chance. 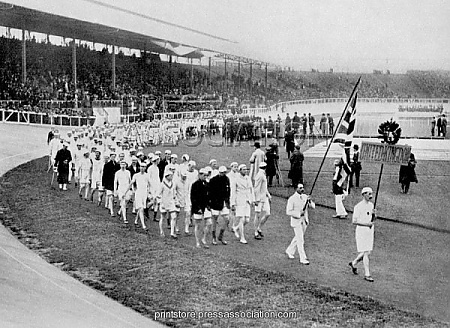 In the hands of the British, the 1908 schedule of events gave the Games the appearance of a European and British Empire championships. 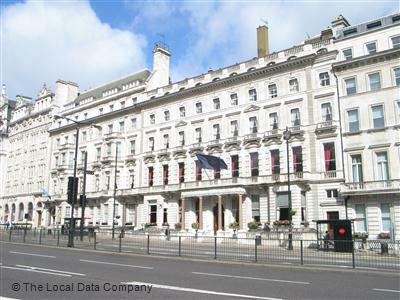 No Americans or Australian tennis players competed in London. Outside of Europe, the only other players were from Canada and South Africa. In the covered court tennis events, the representation was even more limited, with only players from Great Britain and Sweden taking part. The racquets event drew its competitors from an even more limited gene pool, all seven (and, unsurprisingly, all men) representing Great Britain which made a clean sweep of the (men’s) singles and doubles. The youngest competitor was Henry Brougham, aged 19, and the oldest Henry Leaf, aged 45. Leaf finished as the silver medalist in the men’s singles despite having to withdraw from the final due to an injury to his hand sustained during the men’s doubles. Despite the British monopoly, the United States could claim some success in that John Jacob Astor, gold medalist in the men’s doubles together with Vane Pennell, had been born in New York. He was a boy of five when his family sailed for England in 1891, eventually becoming Lieutenant-Colonel John Jacob Astor V, 1st Baron Astor of Hever. Astor also won bronze in the men’s singles. 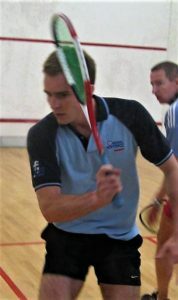 The non-appearance of squash in the London Olympics can also be linked to the circumstances at the time surrounding the sport’s regulation. It was only in April 1907, one year before the London Olympics, that Great Britain’s splendidly-named Tennis, Rackets & Fives Association had set up a sub-committee to set standards for squash. 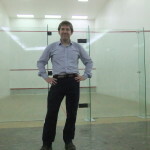 In the early years of the century, the game had increased in popularity with various schools, clubs and even private citizens building squash courts, but with no set dimensions. In direct contrast, the earliest national association of squash in the world was formed in 1904 as the United States Squash Racquets Association, (USSRA), now known as US Squash. Today, squash again finds itself seeking entry to the Olympic family of sports in 2020 having undergone a series of reforms and re-organisations at the behest of the International Olympics Committee. In some ways, its circumstances appear to have changed, as have those of racquets, played in Britain by an even smaller number of people than that from which the competitors for the 1908 London Olympics were drawn. And what about the circumstances of the IOC? Less than one year after the 2012 London Olympics, the organisation itself is seeking to add a new sport which will attract a younger audience. Squash may well be it. But, as in the case of racquets in 1908, it may take a natural disaster to make it happen. Thanks to the Sports Reference website and Top End Sports for details of the 1908 London Olympics. Also thanks to Wikipedia for the biography of John Jacob Astor. Today, military strategists resort to the mathematics of decision theory in developing war games. So perhaps it’s not surprising that mathematics or, to be exact, the mathematical theory of probability, can be applied to the game of squash. Mathematical modelling can describe the main features of the game pretty well and, at a practical level, can reveal the best strategies available to the squash player. In fact, it’s also proved useful over recent years in deciding whether the scoring rules of squash should be changed; first for professional tournaments, then for national and regional competitions and, finally, at club level. 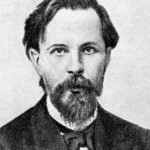 And it’s all due to a 19th Century Russian mathematician. 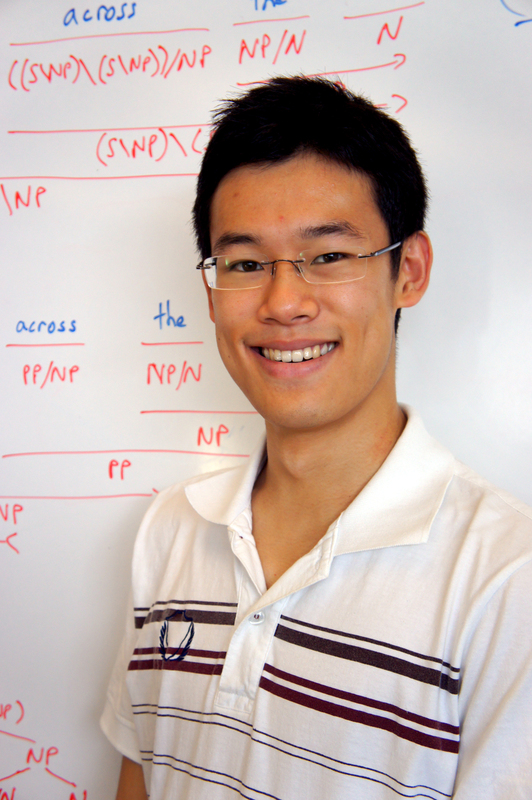 Believe it or not, squash offers a simple example of a mathematical structure called a Markov chain. The theory of these non-deterministic random structures was first developed at the end of the 19th Century by Russian mathematician Andrei Markov (1856 – 1922). 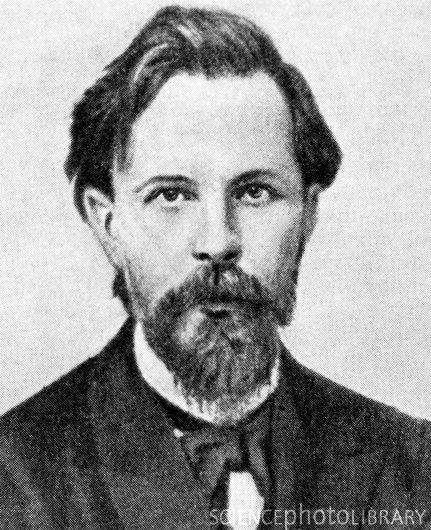 According to fellow mathematician, Hungarian Lajas Takacs, Markov got the idea for his chain by studying the occurrence of vowels and consonants in the poetry of his compatriot Alexander Pushkin. But, despite its unlikely beginnings, the theory is now used in a wide range of contexts, from telecommunications to genetics and even sociological modelling. A Markov Chain identifies a system that can occupy a ‘countably finite’ number of states, and which can make a transition from one state to another after a unit interval of time. The likelihood of a transition depends only on the system’s present state and not on its previous history. So, let’s take a single game of squash as an example of a rule-based system. Starting at ‘love all’ (and omitting rallies which end in lets), the game moves from one state to another as points are scored. With each rally, one of two outcome states will be reached corresponding to whether the server wins or loses the rally. That outcome state becomes the ‘new’ present state for the game. Whether a player wins a particular rally will obviously depend on a range of factors such as their skill, fitness, judgement and (not that I ever need it myself) luck. Whether a player serves or receives will also be a factor, so we can reasonably state that ‘Player A’ should win a certain fraction of rallies when serving and a certain fraction when receiving. In other words, the probability that A wins a rally when serving is pA and when receiving it’s qA. If we calculate the corresponding definitions for Player B, then (because the total probability of any rally being won is always 1) it’s evident that pB = 1 – qA and qB = 1 –pA because when A serves, B receives and vice versa. With me so far? Good. The simplest possible game to imagine is one in which pA = ½ and pB = ½. In other words, both players can expect to win 50 out every 100 rallies when serving and when receiving. Clearly, in such a match, A and B are equally balanced. But now, let’s denote the probability that A wins the current rally (and a point) when serving by the character PA and when receiving by QA. Subscript B will denote the corresponding probabilities for B, in other words PB = 1 –QA and QB = 1 – PA. The probability that A wins the current point, however, depends on whether A or B is serving. This is a geometric series which, when added up, approaches (but never quite equals) 2/3. So the probability of A losing the point must therefore be 1/3. And how many winning sequences can there be in a game? Well, that’s what the superscripts are in the above equation. Just consider the possible sequences for the first 2 points (A win – A win, A win – B win, B win – A win or B win – B win). Four possible sequences. That’s eight possible sequences, rising to sixteen for the first 4 points. Complicated, eh? Well, not really if you understand probability which I’m sure the gamblers amongst you do. We can use this approach to analyse squash games between any two players of arbitrary standard; that is for any values of pA and qA and the simple expressions derived for PA and QA in terms of these. For example, a player with a pA of 2/3 and a qA of 3/5 may be expected to win two out of three service rallies and three out of five returns of serve. But what can mathematical studies of the game of squash tell us about how to play the game? For that, we need to skip the difficult stuff and look at the results of a scientific study. Scientists at the University of Glasgow and the Rutherford Appleton Laboratory in Oxford created a mathematical model of squash in the late 1980s. They tested the model in true scientific spirit with two of them playing an experimental series of 29 squash matches including 105 squash games over a 3 month period. 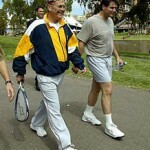 Just think of two guys wearing white lab coats running around carrying squash rackets and you’ll get the picture. As both of them had no idea whether their theory was accurate or not, there was no chance of them ‘cooking the books’. Nevertheless, the recorded frequency of the scientists’ game and match scores – and the point scores predicted by the model – were remarkably good with pA = 0.59 and qA = 0.56. The scientists also came up with some interesting findings. Three out of the four sequences will involve A regaining the serve meaning that A’s PA is more favourable to winning a point. Player A should, in fact, choose no set only if A’s pA is less than about 0.38, a situation which would place them in the company of higher performing squash players. Obviously, players (even scientists) can have off-days or may tire at different rates during a match. However, the model reproduced the broad features of squash: the clear advantage of the first server, the setting choice, and the frequency with which a player wins a game without their opponent scoring. It also shows that the probability of winning a point is much greater for the player who won the last point. And, perhaps more than anything else, this is the factor that gives squash its reputation of being such a highly competitive game; players need to fiercely contest every point. So what tips does the mathematical model offer? 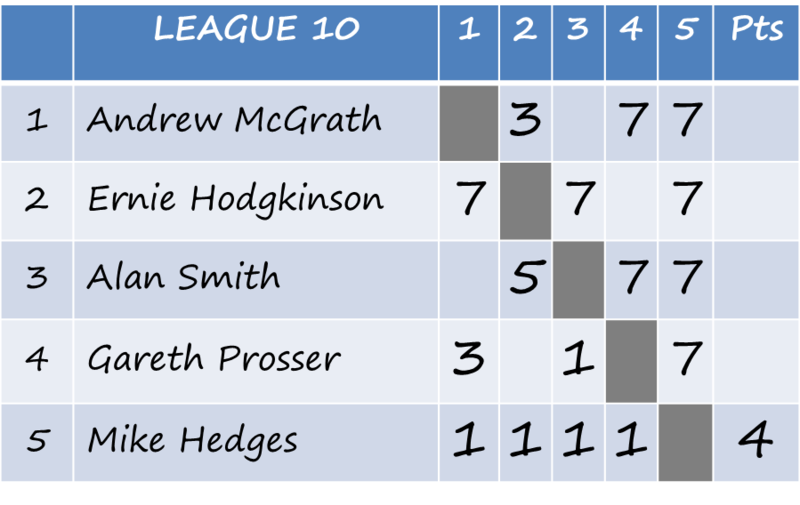 The first is for players to estimate their p and q coefficients by assessing their performance against similar standard players. They can then choose set two or no set in a tie-breaker with some confidence. Next, a player may attempt to vary their p and q. For example, they may choose to expend a lot of energy returning serve in the hope of increasing q even though a possible consequence may be a decrease in p. Whatever they choose, the model found that one result is almost always true: it is to the advantage of the stronger player to concentrate on service returns and, conversely, for the weaker player to concentrate on service by adopting, for example, hit and run tactics. Last, but not least, the model allowed for a comparison of the European (hand in) and American (point a rally) scoring systems. Supposing that the most probable game scores for three pairs of players under British rules are 9-6 9-3 9-1. A calculation using the model showed that, when converted to American scoring, these translated into 15-13 15-11 15-5. Generally speaking, American rules were far kinder to the weaker squash player, in the sense that the likelihood of an ignominious defeat was small. Matches appeared to be much more closely contested although, in fact, the probability of a win for either player would not be much altered. So the next time you play squash, be sure to insist on American scoring and try and get your opponent to assess their p and q during the match. With any luck, they’ll lose concentration. For an explanation of probability in squash scoring – including tree diagrams (!) – see Toni Beardon’s “Playing Squash” article on the excellent NRICH website. You can also test your probability knowledge by answering, or at least trying to answer, a question on the same site. Have fun! And nowhere did Pinter’s art resonate more effectively with the Academy’s description of his work than in his 1978 play, Betrayal , the story of a classic love triangle, in which Emma betrays her husband, Robert, a publisher, by conducting a seven-year affair with his best friend, Jerry, a literary agent. A play in which the game of squash serves as an icon for a whole set of male social games that evolve around its leading characters. A game played in an enclosed space, a closed room, where drama emerges from the power struggle. In fact, all the relations in the play assume the amusing shape of sophisticated social games and rituals, making the game logically precede the particular instance of its playing and disqualifying any originality in the behaviour of the characters. 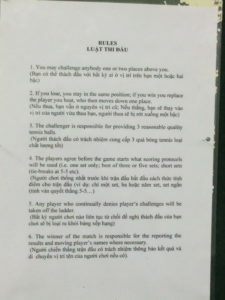 The bitter twist is that the action moves backwards in time, beginning with the end of the affair and working remorselessly back to the first snatched kiss. Pinter never reveals his point of view, but lets the audience draw its own conclusions, offering scenes of the affair alternating with scenes of the two male friends meeting, Robert baiting Jerry(who doesn’t think that his best friend suspects), always suggesting a game of squash, symbolic of male companionship, and Jerry always backing away from the direct competition. Robert’s outburst reveals the nature of the series of male rituals he is describing. They are clearly meant to exclude women from what is perceived as exclusive male terrain. At the same time, the attack discloses a defensive attitude, an attempt to distance women so as to get rid of their sexually threatening presence. It’s implied that Robert and Jerry have not played squash for a long time because Jerry has engaged instead in the betrayal game, and Robert’s rather fierce speech is meant to win him back as a partner in the male game. There’s no evidence that Pinter had any particular interest in squash before writing Betrayal. In fact, he was an enthusiastic cricket player and approved of the “urban and exacting idea of cricket as a bold theatre of aggression.” But squash would certainly have been played by some of his friends and acquaintances. 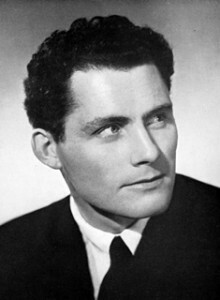 One such was the British actor Robert Shaw, a close friend of Pinter who in 1962 appeared on stage as Aston in Pinter’s first major theatrical success, The Caretaker , and again in its film version two years later. As a boy he attended school in Cornwall and was an all-around athlete, competing in rugby, squash and track events. Unfortunately, at the age of 18, Shaw was misdiagnosed with a chronic inflammatory arthritis and autoimmune disease which, perhaps not surprisingly, led him to curtail his involvement in sport. 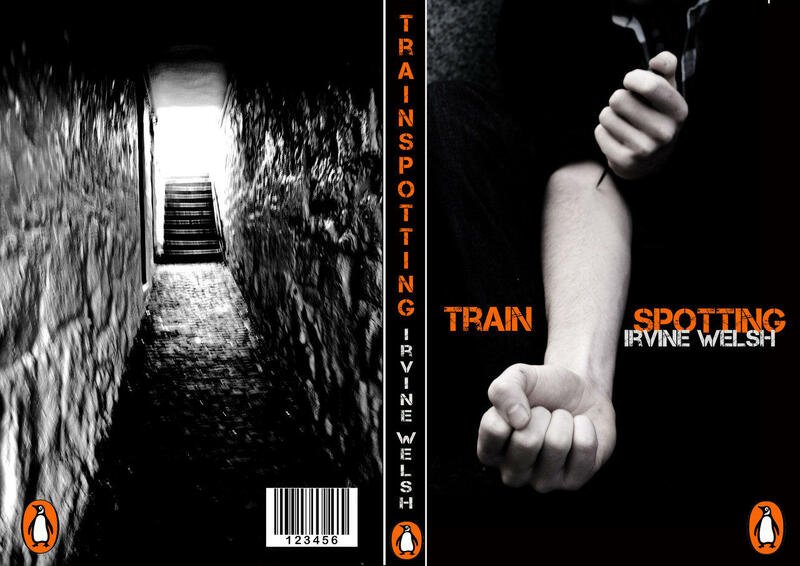 The disease was supposed to affect joints in the spine and it’s a measure of Pinter’s artistic approach that Shaw’s character in The Caretaker has a speech in which he expresses his fear of breaking his spine during a stay in a mental institution. But around the time of London premiere of The Caretaker, another event occurred which was to directly influence the writing of Betrayal. Pinter, then married to his first wife Vivien Merchant began a seven-year clandestine affair with a married BBC-TV presenter and journalist, Joan Bakewell. 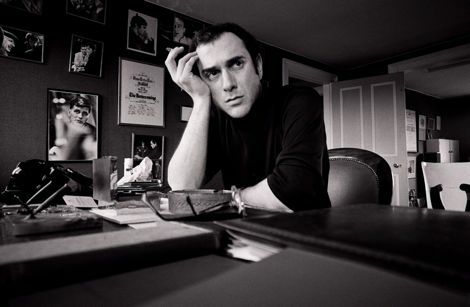 Throughout his career, many of Pinter’s plays were to feature characters trapped in an enclosed space menaced by some force they can’t understand. 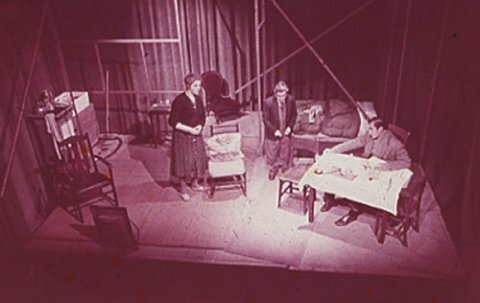 The first performances of The Room were staged in 1957 at the University of Bristol. In a converted squash court . Many thanks to Hanna Scolnicov whose article ‘Pinter’s Game of Betrayal’ provided much of the source material for this post. Her article was originally published in Cycnos, Volume 14 No 1 on June 11th, 2008.